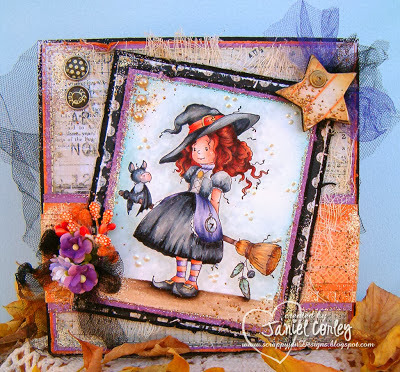 Another Boo-tiful Project by DT Janiel Corley today! She's used the super sweet Wee Stamp "Hazel" on her card. Perfect for the month of October! See more of Janiel's sweet project HERE on her blog! Great card, I don 't like Halloween but this card is beautyful.